My favourite vaporizers are the Pax 3 and The Mighty but I appreciate that not everyone wants to drop the best part of a week’s salary on a dry herb vaporizer. For that reason alone, affordable dry herb vaporizer definitely has their place. The first time I made the decision to switch to vaping I was reluctant to spend over £50 on a device and even now as a certified veteran, if I’m going on holiday I don’t want to take an expensive vape with me. There are a lot of vape cowboys – Buy only from reputable vaporizer sellers that offer a full warranty period! From experience, in the UK, only bother with namaste, Everyonedoesit and dank! vapes. I love Vapefiend too – but they specialise in vapes priced north of £50. The Flowermate Aura is a perfect first-time vaporizer for someone who smokes cannabis in many forms. It is fairly compact and easy to carry around and has a LED screen which is rare for a vape you can buy for less than £50. If it can get you stoned, the Flowermate Aura can probably vape it! Whilst the Aura’s performance is heavily weighted towards cannabis and hash, it does more than a respectable job of vaping concentrates and CBD E-Liquid too. 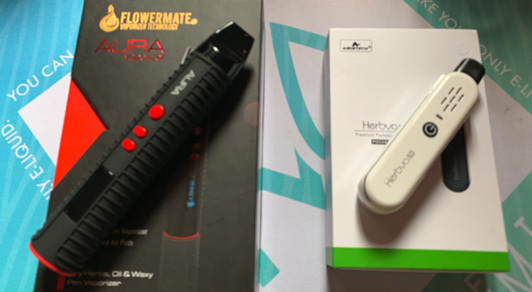 It is fairly quick and easy to pop cannabis straight into the Flowermate Aura’s oven but Concentrates and E Liquid have their own special chamber. To use E-Liquid, just place some cotton bud (or even tissue!) into the E-liquid chamber and place a few drops of E-liquid until the cotton bud is saturated and vape away. 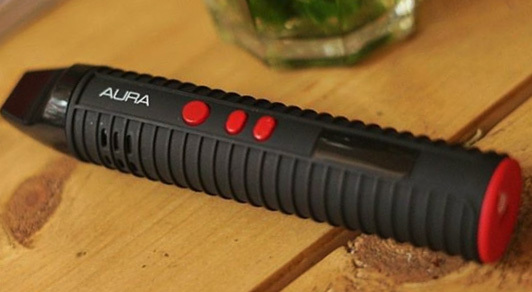 A battery can make or break a vaporizer’s performance and the Flowermate Aura does not dissapoint. The Aura boasts a Samsung 2600mAh battery that is akin to a battery you’d expect to find in a vaporizer twice the price. It can heat the oven to its max temperature in under sixty seconds whilst still providing enough juice for a full day’s worth of vaping bliss. I’ve had my Flowermate Aura for over 18 months now. The vaporizer itself still works like a dream but I’ve now had to replace the mouthpeice twice. 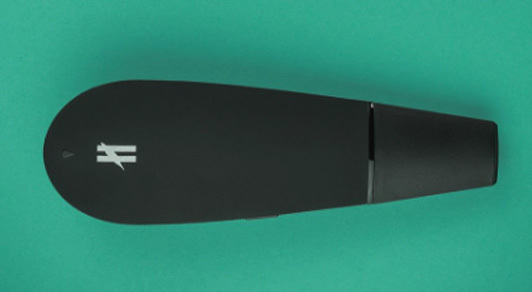 The mouthpiece doesn’t appear to have been sufficiently designed to cope with the high temperatures the Flowermate is able to emit and as such, is liable to crack. The first time it happened, my Flowermate was still in warranty so I was able to get a new one free of charge. however, the second time, i was forced to buy one out of my own pocket. They’re only £3.50 a pop, but all the same its a bit of a faff. The Black Mamba‘s ease of use makes it almost a no brainer for someone vaping for the first time. The intense heat your oven generates puts your herbs at risk of combustion but it also removes any learning curve. Many dry herb vaporizers take a particular technique to sufficiently draw vapour from but the Black Mamba produces smoke/vapour so effortlessly you can just puff away and get mashed! A lot of time and care has been spent ensuring that the Black Mamba is reliable and durable and it shows. The Mamba’s hard plastic outer casing renders the vaporizer heavier than you’d probably expect which adds to its durability! This is not necessarily a bad thing. I live on my own, so I rarely have anyone to share with my cannabis with. As a result, 0.65-gram oven is a tad too big for me. If you’re likely to pass pass puff often with a group of friends more often than vaping solo the oven size is probably a win! 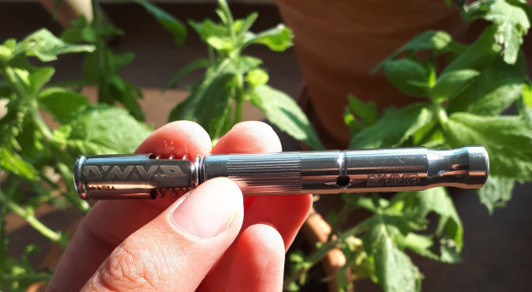 👍 The Dynavap is powerful and easy to use. The Dynavap range of vaporizers are insanely easy to use. Unlike most non-battery vaporizers they provide the user with a high degree of control over their vaping experience. To use, just pop in your herb or concentrate into the 0.1g oven. Apply heat from a lighter or torch and vape away. Depending on where you heat the cap, you can choose between light and flavourful or thick and heavy clouds. With the small bowl size, each hit is intense. They Dynavap is a bout as discreet as a vaporizer can get. It is literally the same size as a cigarette and it provides powerful hits in under 10 seconds. You can be in a room, whip it out, vape and by time anyone notices a smell the dynvap is back in your pocket with no one none the wiser! Smoking cannabis had a ritual that some people enjoy; I didn’t, I was always terrible at skinning up. For me personally, electric vaporizers are just convenient, especially when I’m on the go. The Dynavap’s oven at 0.1g is so small that you’ll be refilling the chamber after every couple of hits. However agian, if you microdose throughout the day, short powerhits is probably a win. You’ll be amazed at how small the Shatterizer is. It literally fits into the palm of your hand. This makes the vaporizer really portable. The Shatterizer is a great option for when you’re on the go and want the option to microdose sparodically. A vaporizer that is designed for travel would is also expected to have a battery that can last at least a day. The Shatterizer’s battery lasts that and then some! 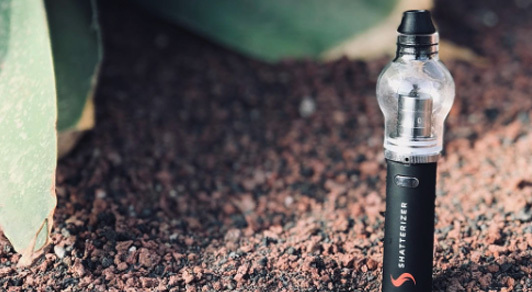 When fully charged, the Shatterizer’s 1,100mAh battery lasts for at least 70 hits – if you have vaped concentrates before you’ll know that is enoiugh to last a week!!! Whilst small, this device is not very stealthy at all; mainly due to the bulb at the top of the vaporizer. As soon as you pull it out, people are going to wonder what it is you’re doing – especially when the bulb fills up with vapour! The Totem is a fairly new vaporizer that my friend bought a few weeks ago and I haven’t spent too much time with it yet. Nonetheless, the one session I did have was effective and fun. I feel it brings a new dynamic to dry herb vaporizing – once I get my own one I’ll do a full review (hint, hint!). This vaporizer was clearly designed for parties. Whilst it works just fine as an individual vape, it works even better when used with friends. 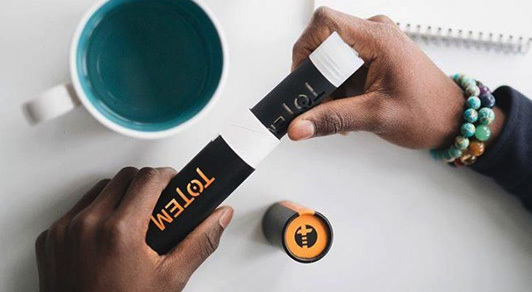 With Totem mode, you can connect two or more Totem vaporizers together to create one giant hybrid vaporizer. When in Hybrid Mode, you can connect two Totem vaporizers end-to-end to obtain blowbacks either with one full chamber or two full chambers to create a super-charged hit. We used to do blowback – chokies when I was a teenager ( not advised for anyone under 18!) and they used to mess me up. It was quite nostalgic doing blowbacks again with the Totem. The Battery only lasted 50 mins which when you’re sharing, messing around isn’t really long enough for a decent session.